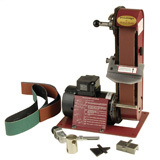 We have everything you need for sharpening your woodturning tools. 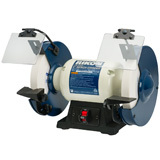 Properly ground wood turning tools cut faster with less effort and make woodturning more enjoyable. 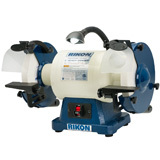 We offer the finest wood turning sharpening systems and grinders available including JET and Rikon slow speed grinders and the Robert Sorby Pro Edge Sharpening System. 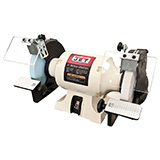 Be sure to view product demonstration videos of our sharpening systems and grinders to see how easy making your tools razor sharp can be! 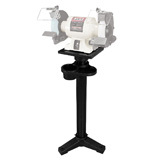 Everything we sell is backed by our knowledgeable staff of woodturners and a 100% satisfaction guarantee.